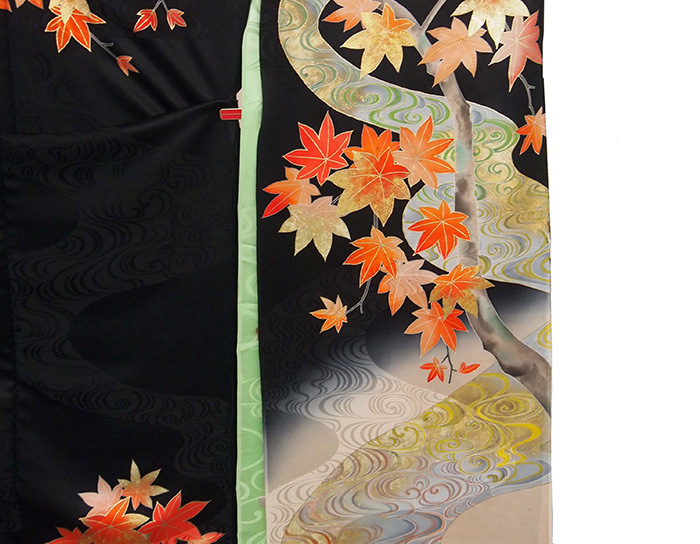 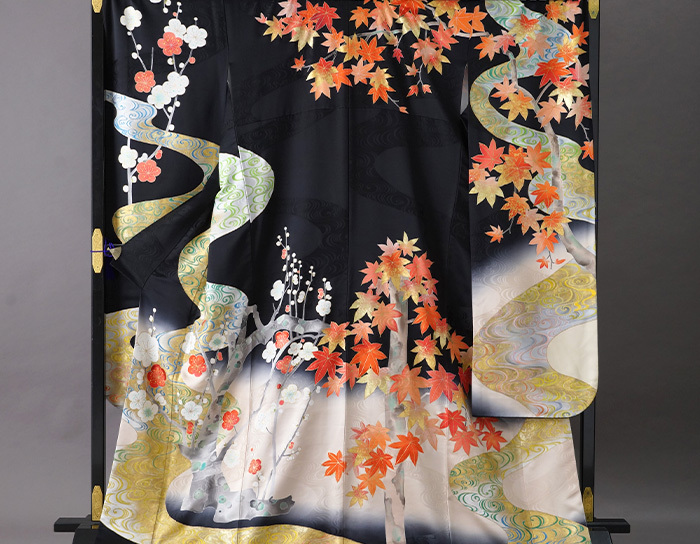 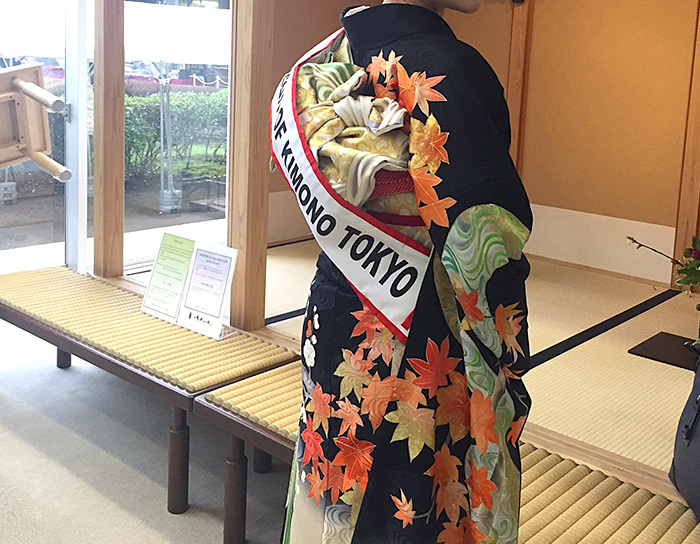 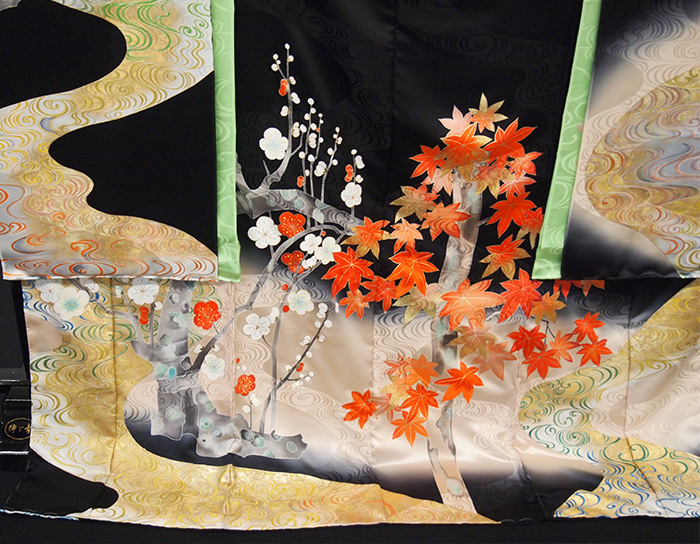 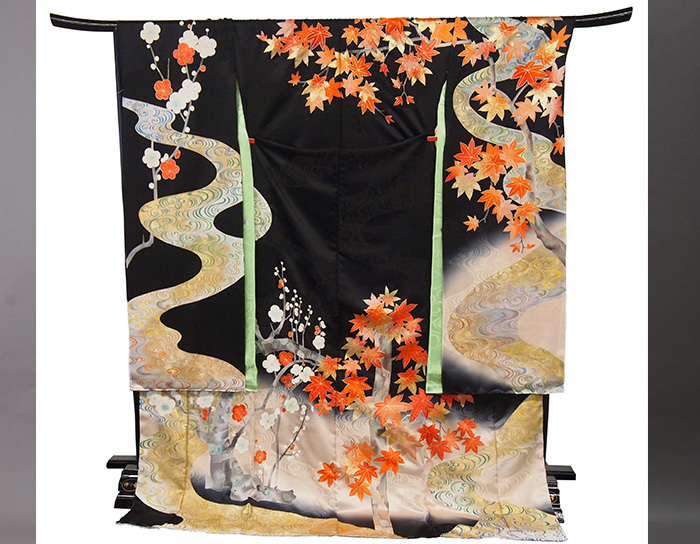 ITOKO company would like to promote the beauty of Japanese silk materials especially for Kimono. 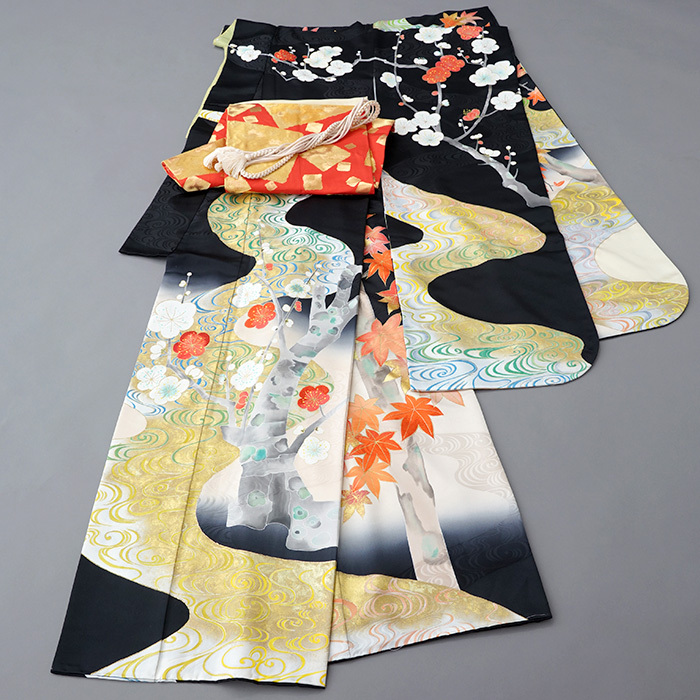 Our products of white silk labeled “Matuokahime” is soft and glossy. 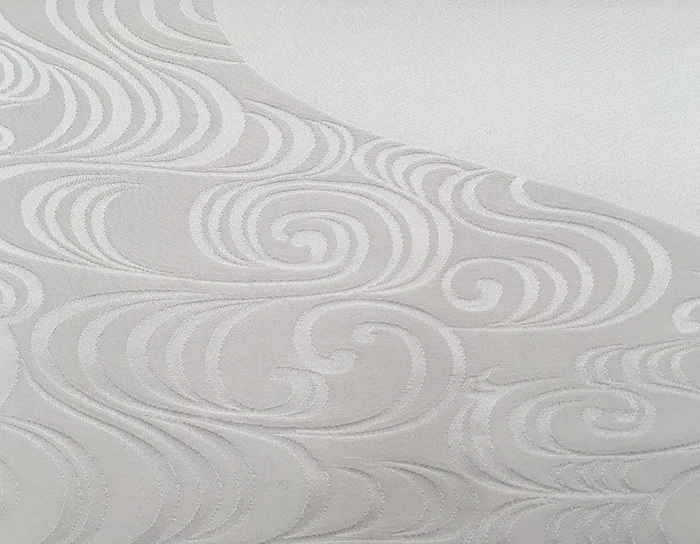 The woven patterns of river waves are infused with a colored intersecting wave pattern of RIMPA design that gives elegance to Japanese women especially for the reception parties for honor guests from all over the world.